The upper river is in excellent shape and improving by the day. 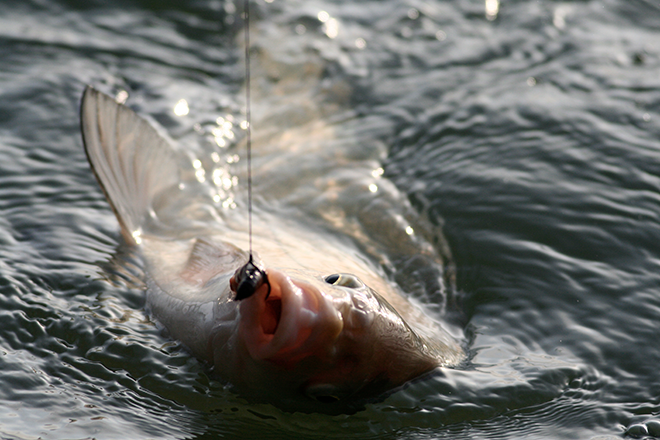 Water flows have risen due to rain this week and an increased release from both Twin Lakes and Clear Creek Reservoir, but conditions are still within the ideal range for the wade fisherman. Visibility is good on the upper river. We are already seeing good caddis and golden stonefly activity mixed with drakes through Hayden Meadows down to Granite. The current water temperature is around 63 degrees. The trout fishing from boat and shore has been fair at Clear Creek Reservoir. A majority of the boat and shore anglers are catching groups of 8 to 12-inch rainbow trout. Shore fishing access at the boat ramp parking area is still limited because of both high water levels and willows right at the shoreline. Shore anglers may want to consider wearing hip boots or chest waders to fish the shoreline more effectively. PowerBait and salmon eggs fished off the bottom has been productive for shore anglers. Successful trout anglers trolled the southern part of the reservoir with bull frog colored Tasmanian Devil lures (1/4 oz). A few boat anglers caught tiger musky by fishing underwater structures with Rapalas. The best kokanee salmon fishing has been in the morning. A squid tipped with white corn is one of the best methods to land kokanee salmon at the eastern part of the reservoir. The current water temperature is around 73 degrees and the water is clear with a visibility around 8 feet in depth. Anglers are reporting seeing more algae growth and are frequently pulling in weeds off the bottom. Worms are working well in 20 feet of water on jigs. Use a slow retrieve if you are not getting many bites. Be cautious of weekend recreational activity if you plan on using a boat.